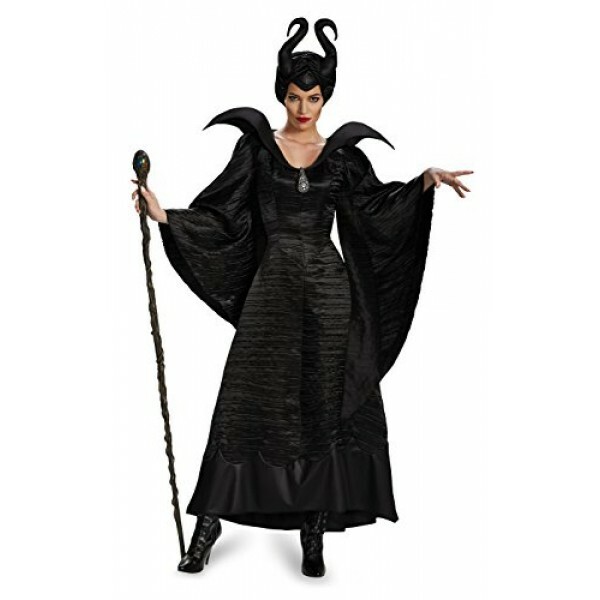 Make an entrance in this amazing Maleficent costume! 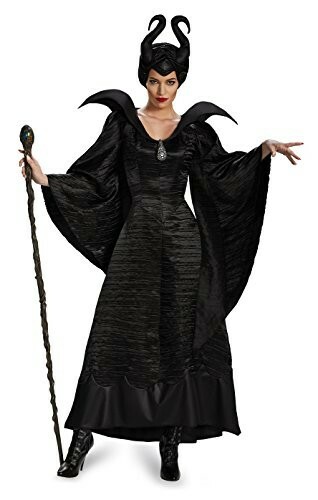 This dress, based off the one in the 2014 movie, features sculpted shoulders, a broach at the neckline, and dramatic bell sleeves. A horned headpiece is also included.